I’m of the firm belief that, regardless of what your everyday go-to style is, glossy glazed elements are always the cherry on top — simply because they can drastically turn up any outfit for day or night. 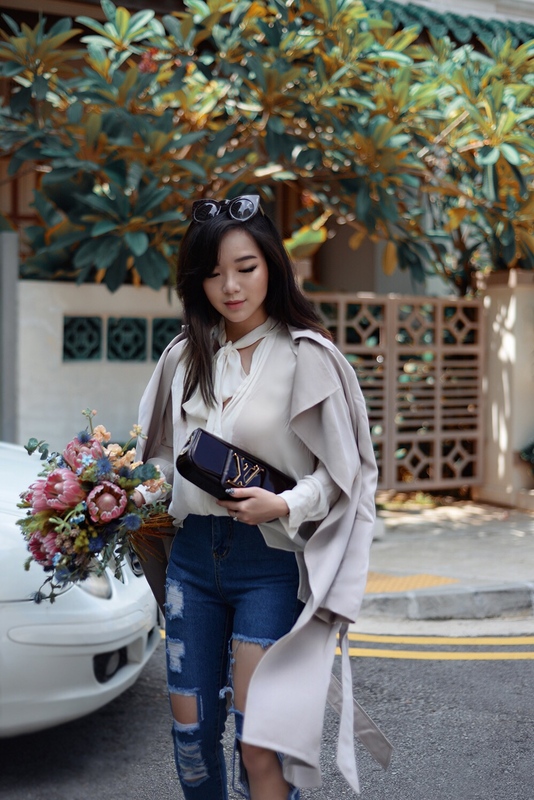 As evident on my Instagram, I’ve been constantly moving around and struggling with jet lag, and so, the easiest thing to piece together for some errand running frenzy is a soft fabric blouse affair and a perfectly reliable pair of shredded denim jeans. 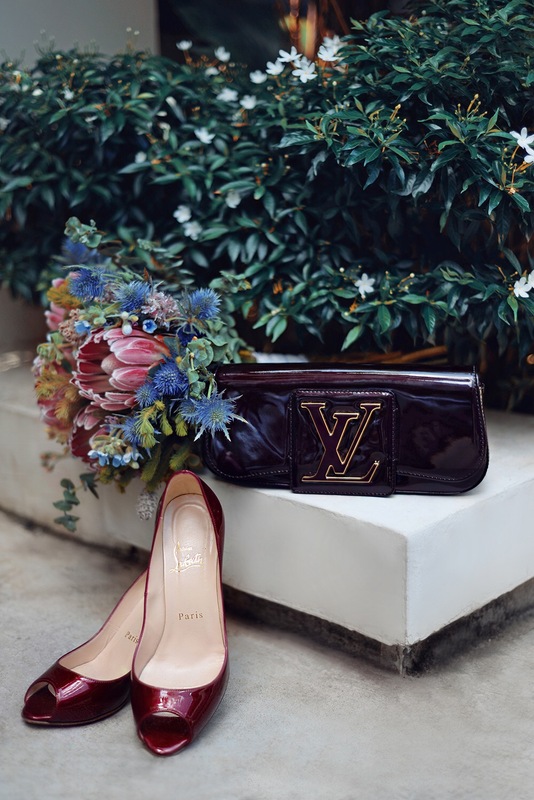 Instead of dull matte flats and a canvas tote, I opted for lustrous Louboutin heels in burgundy, and a Louis Vuitton Sobe clutch in the same color. It was only natural then, for a trench to be thrown over and left unbelted, and to be appreciated as wings at ease with my every frantic step. As a matter of quick update before I jet off once again, my dire plane hair has been fixed and the blue rid, all thanks to lifesaver Michael from Hairloom, Singapore.